There are plenty of restaurants and bars close by to Jessica's. This was being run by people that were dishonest, but now it's run by different people. I also know that the person that was responsible for these past actions, is now in jail. When I stayed there we had a great time and they were really friendly. Don't trust the guys at this place, within 3 hours of us checking in they'd stole 300,000rp out of my wallet and lifted my iphone out of my bag. Door was locked at all times but they insisted i had the only key ... then when we said fine we'll leave they couldn't give us a refund! Stay at Snapper bungalows just a few doors down for the same price! 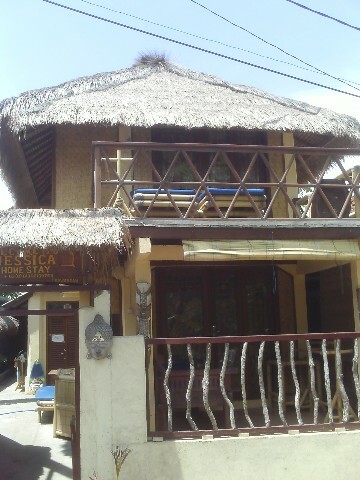 Have you stayed at Jessica Homestay - Gili Trawangan?